Before heading to Halle an der Saale, I did ask several times German and traveller friends for the best recommendations for a short stay. 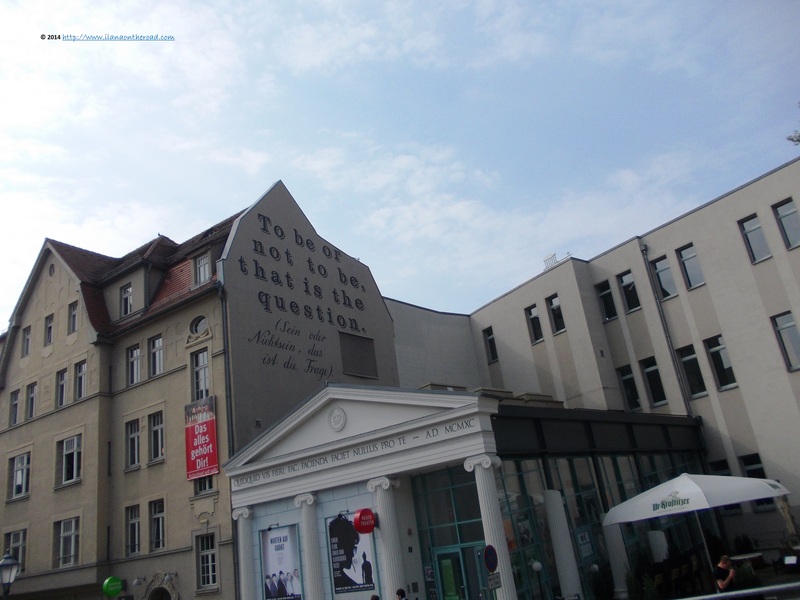 In most cases I was politely answered with a diplomatic smile and maybe a question why should I go there of all the other famous places in Germany I haven't visited yet. Not enough to give up my plans and one more reason to be even more enthusiastic and determined to explore as careful as possible this new destination of my Project '100 Places to See in Germany'. 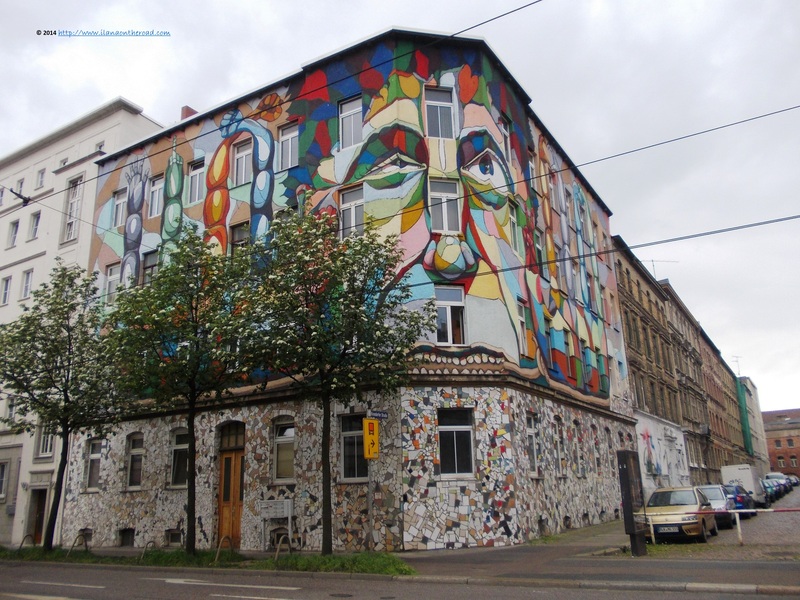 I arrived there on the glorious first of May, usually celebrated in the former East Germany with secular religiously disguised in red street gatherings of communist nostalgics, but during my stay, I did not encounter any noticeable proletarian effusion. 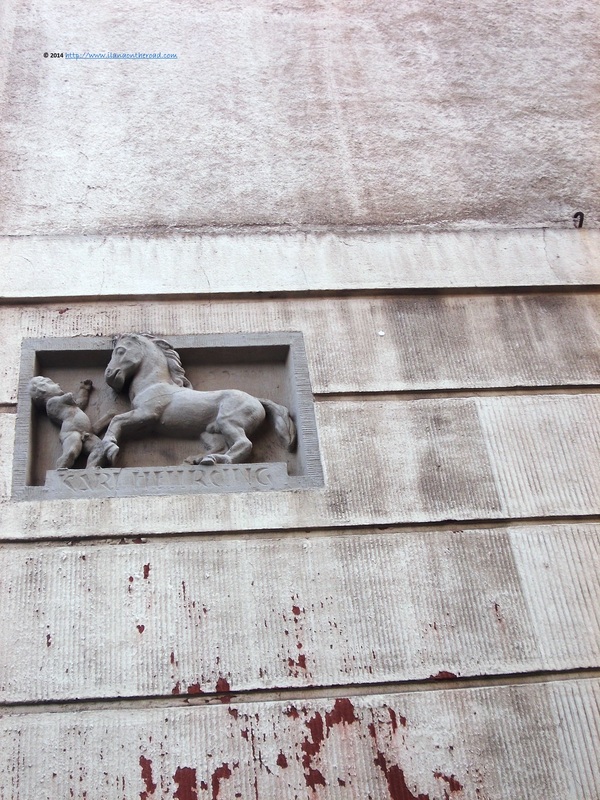 Instead, less than 30 minutes upon arrival, I had the occasion to admire some ingenious graffiti on Magdeburgstrasse and a discrete stone horse on a small corner of a house at Steintor. The directions I took from the Central Station were rather the result of individual decisions than of suggested destinations, as I haven't found any clear signs or indications helping the first time tourists to find their way. I made my way on the streets adorned by the spring flowers, following only the direction of the pleasant smells. 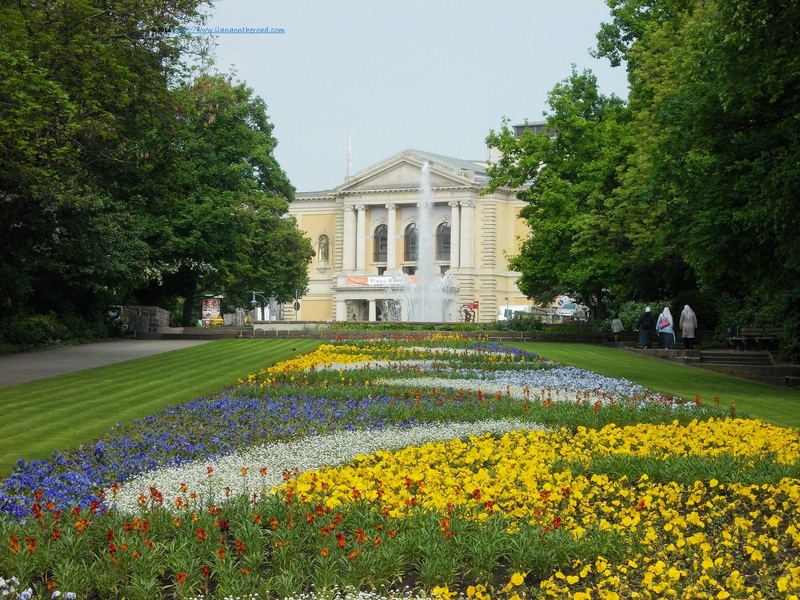 At the end of a beautiful carpet of flowers and a fountain, I arrived at the Operahaus, a classical construction that from the first sight gives you the measure of the serious culture being done inside. Especially in the old historical center, the classical architectural, following the pattern of the Greek rationality alternates with more joyous game of volumes and decorations of the late baroque. 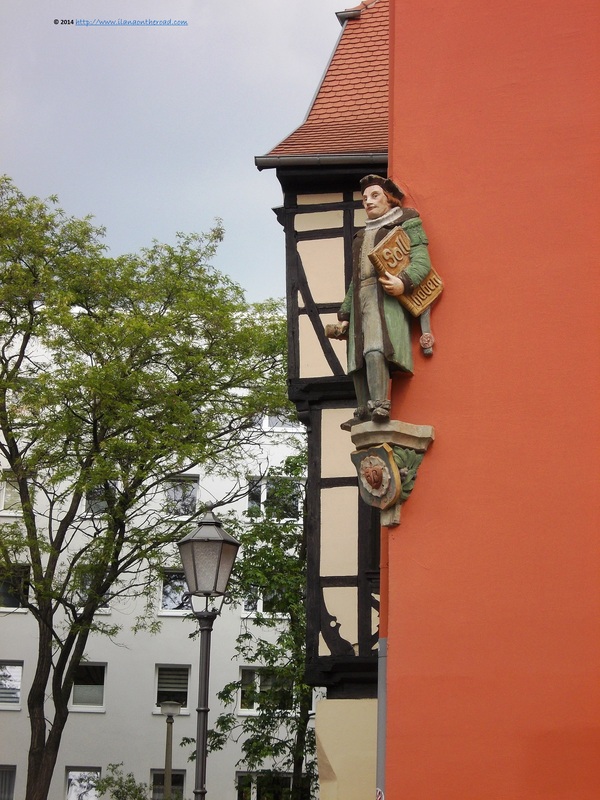 Traditionally, Halle played the role of a center of culture and education, attracting for centuries students from all over the world. 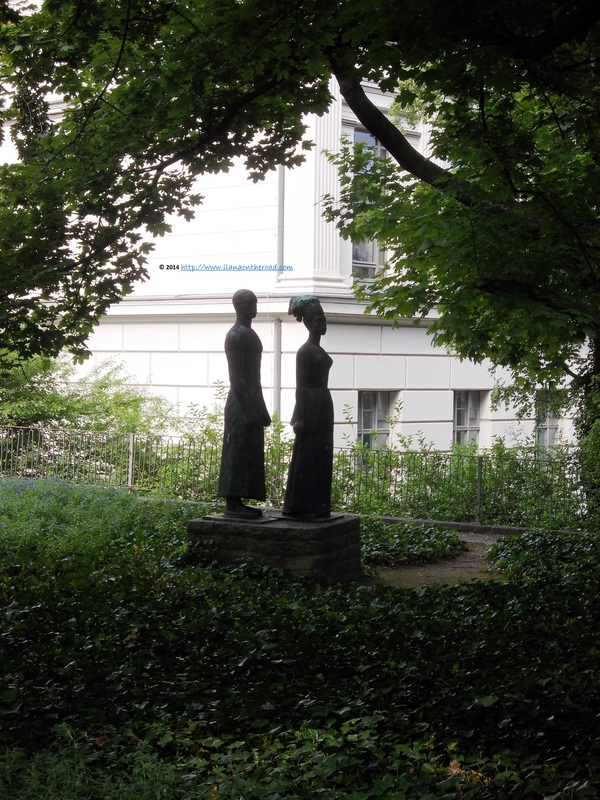 The memory of one of them, Anton Wilhelm Amo is reminded by a statuary group close to the university campus. He was the first student of African origin that visited the local university in the 18th century. During the communism, the university continued to attracted students from this continent. Some continued their life in Germany and nowadays are supported as candidates for the next Sunday European elections by the main German political parties: CDU and SPD. On a sunny free day of the 1st of May, the university area was empty, except a student on the stairs of one of the building, writing something on his computer. 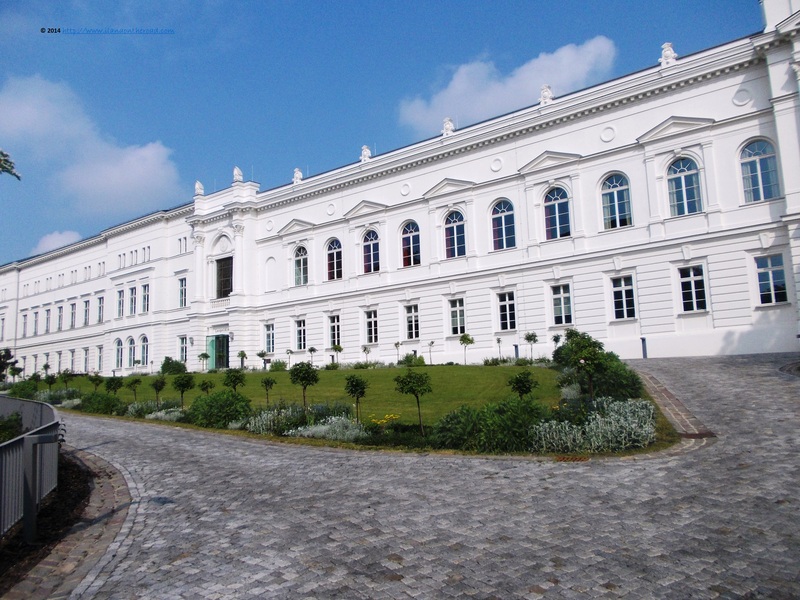 Wittenberg University is considered one of the most prestigious high education institution in Saxony Anhalt region and one of the oldest in Germany. A university city attracts young people from all over the world that might be interested in a lively cultural life and cheap coffee and restaurants open relatively early in the morning. Between 10 and 11 o'clock, the central area was getting back to life, with more and more places getting ready to welcome the early guests. As there were not tourists around, everything kept quiet for many hours afterwards. Quiet doesn't mean monotonous though in this case. Especially if you are curious enough to look in a different direction in order to see the unexpected. Following the sound of a guitar, I entered the Neues Theater yard where a morning gathering with cakes, coffee and music was under way. 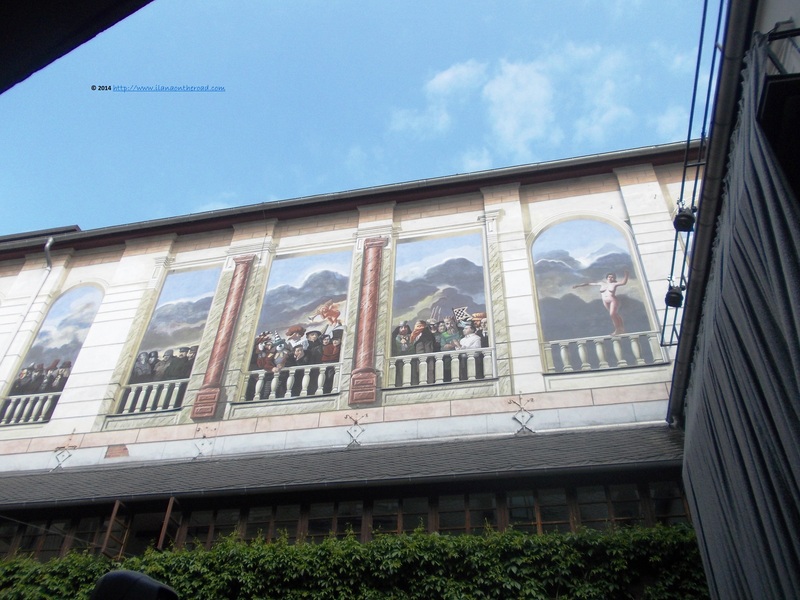 The trompe l'oeil bring historical and daily characters in a picturesque ambiance of clouds and blue sky. 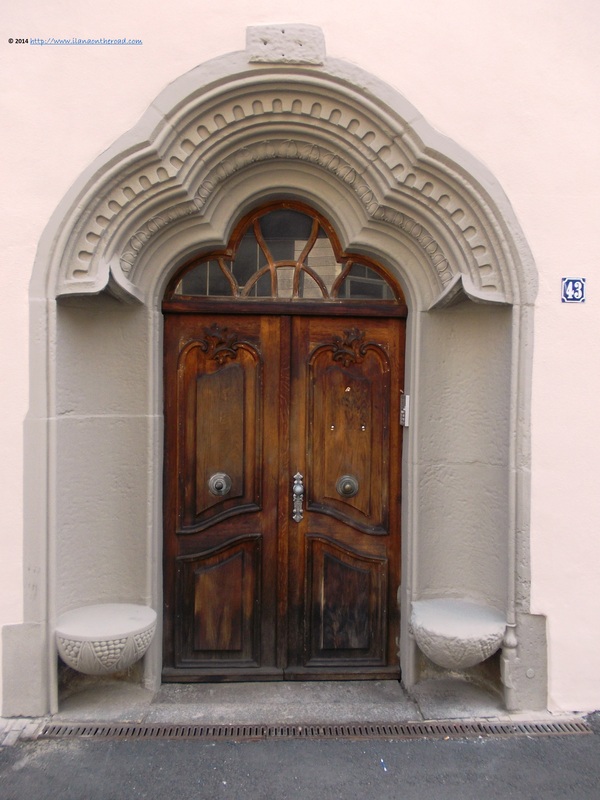 The head stayed in the clouds for a couple of streets more, an impression that made me think that the beautiful doors and entrances might be decorations from mysterious fairy tales. Soon the highly respectable white presence of Academia Leopoldina, labelled as the oldest continuously learned society in the world, brought me back to reality. 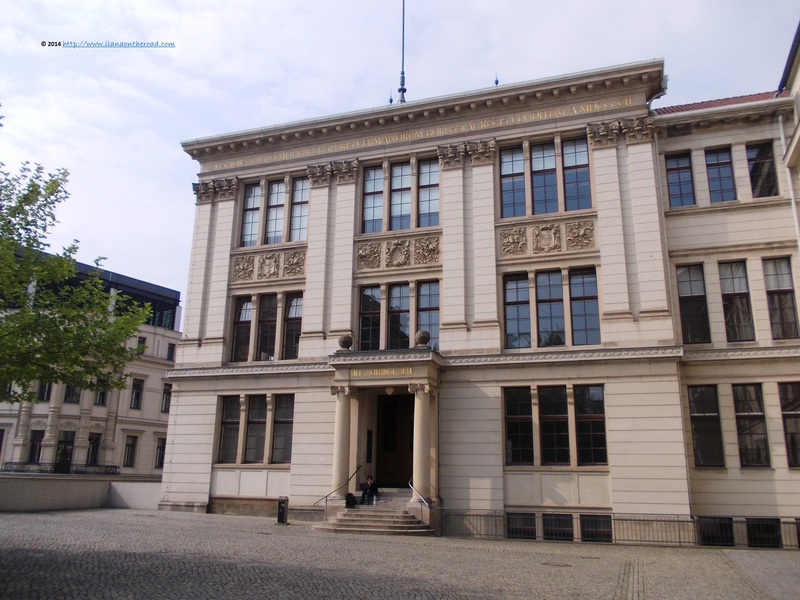 Created in 1652, the national academy of Germany had as members prestigious intellectuals and scientists, such as Einstein. 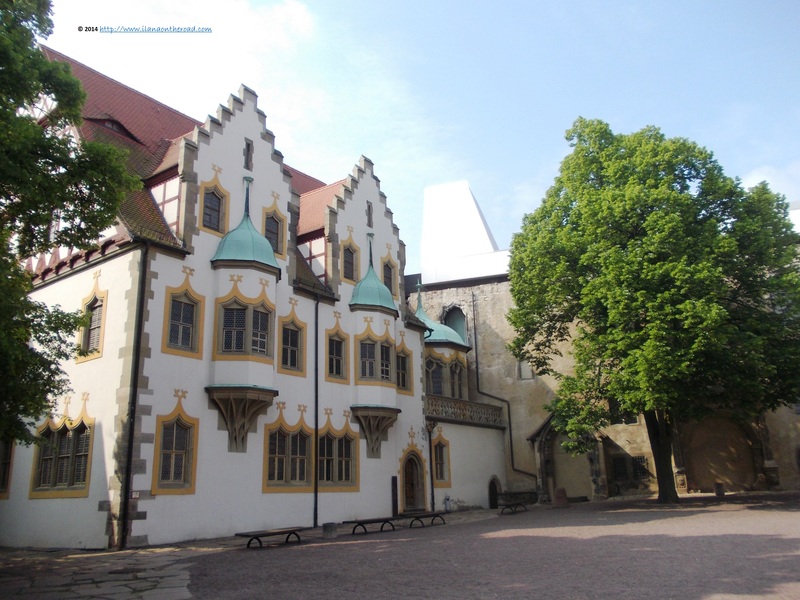 On the other side of the street, the old Moritzburg citadel was inviting me for a historical and artistic exploration. 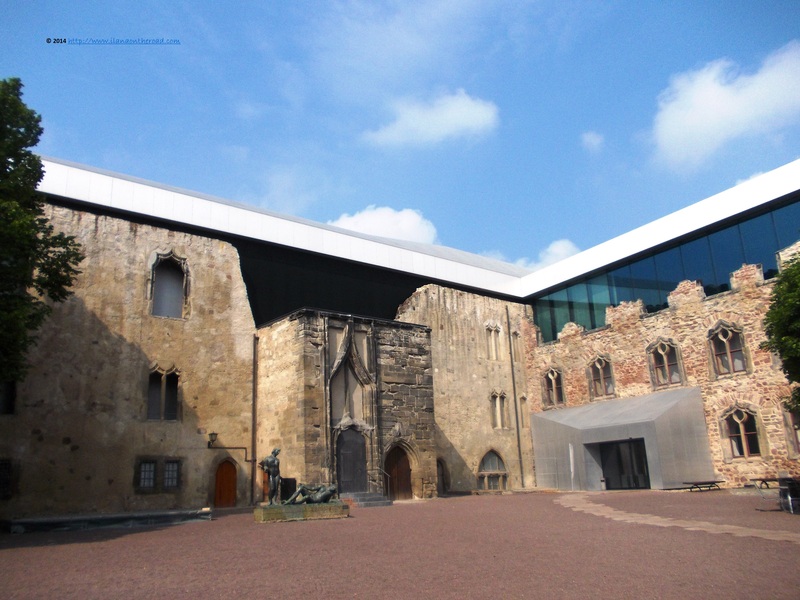 Built at the beginning of the 16th century, it was the residence of the Magdeburg's archbishops. 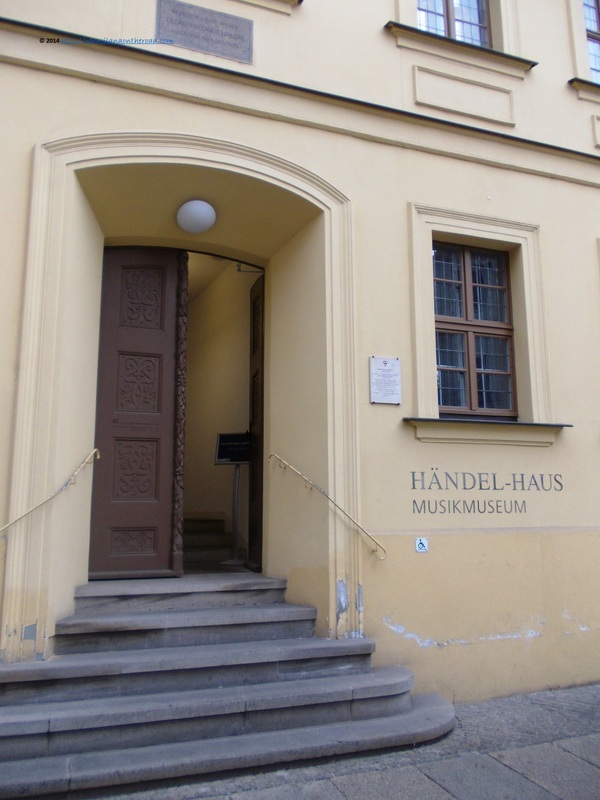 It is used a museum since 1904 as well as a space for organ concerts. 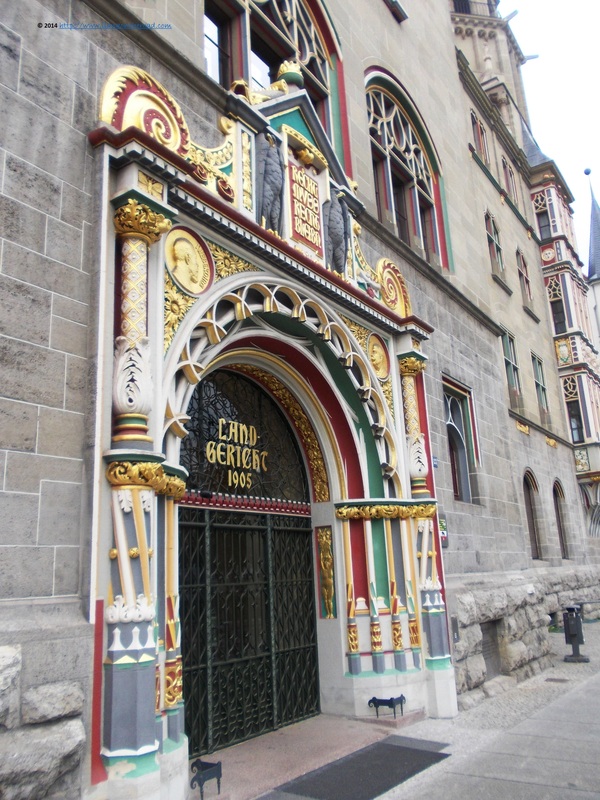 Between 1717 and 1897 it was used for military purposes and a big monogram carved in stone of King Friedrich the Great is solemnly adorning the entrance of one of the buildings. Viewed both from inside and outside, the entire construction is a sample of old architecture integrated into modernist solutions. I was lucky enough to visit the last days of an exhibition by two of the most famous Armenian painters: Minas and Narek Avetisyan. Minas is the 20th century celebrity of Armenian arts and his vivid, sometimes violent colours are reflecting the tension of ideas and high intensity of intellectual fights. I continued with an interesting collection of Berlin Secessionism and the socially oriented photography of Albert Hennig, a social democrat documenting the daily life in Germany between 1928 and 1933. 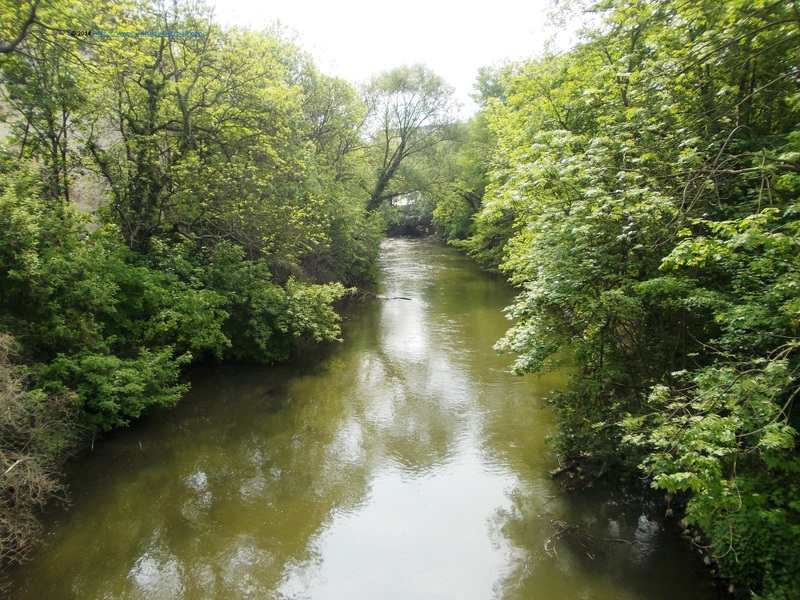 With so much food for thought, I followed the road direction Promenade, for a fresh walk in the middle of the nature, together with many other locals enjoying the 1st of May warm with a grill and outdoor chill. But suddenly, I spot some movement in the middle of the river. 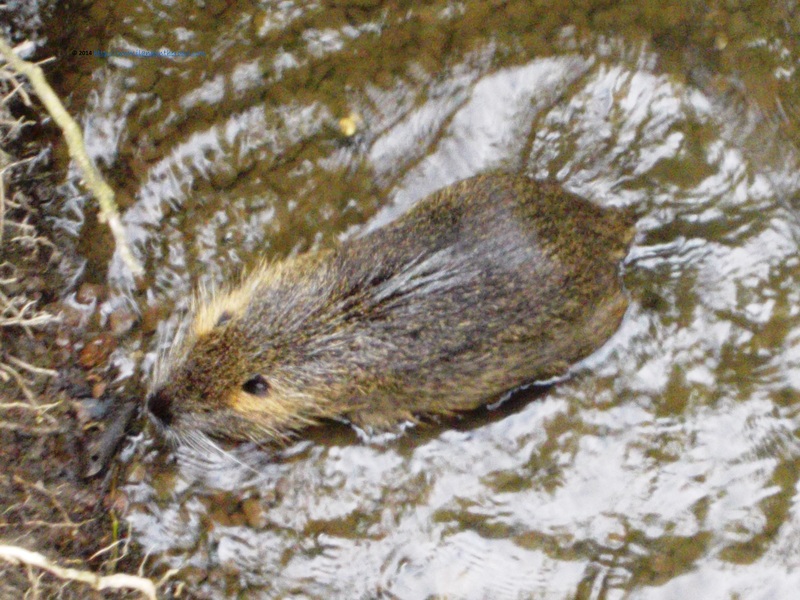 The small brown spot is getting bigger and faster and once is closer I can finally figure out that it's a funny beaver. He is not alone as once my eyes are getting used with the water, I can see more moving spots across the river. There is no May 1st for them and it looks like they have a lot of work to be done. Serious work done under the eyes of a bunch of people on the bridge, clapping their hands or making loud remarks when another beaver was jumping into the river picture. I left the beavers doing their work heading to the salt museum, dedicated to the local history of the salt. 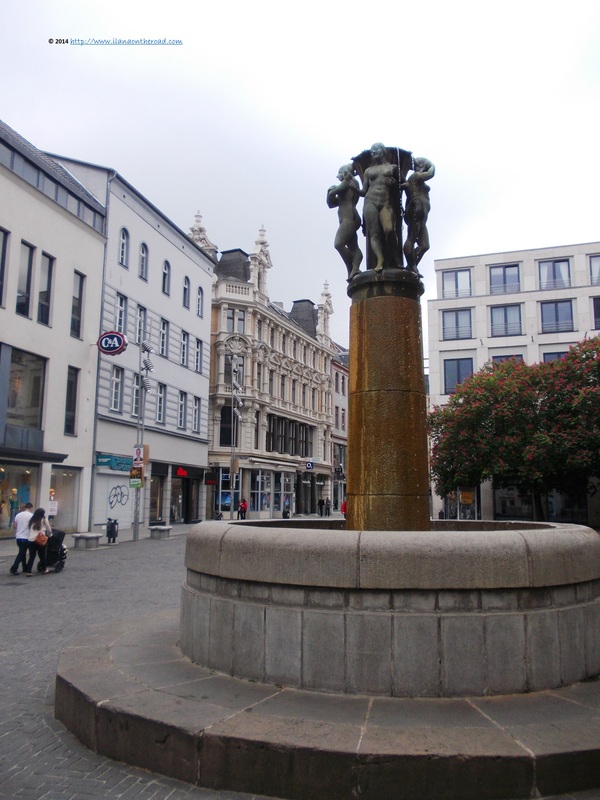 Also called the 'white gold', this natural resource contributed to the development of the city in the last three centuries, attracting merchants and traders from all over Germany and Europe. 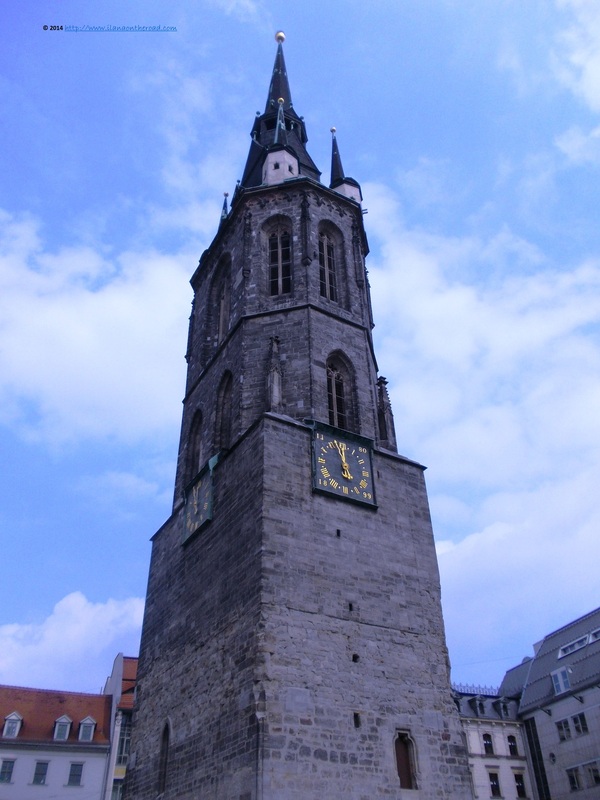 With many museums closed because of the holiday, but a weather improving from an hour to another, groups of locals and a few tourists preferred to spend their time in the Marktplatz, where it is possible to have an overview of the city from the Red Tower. The market was very busy with the preparations for a concert, on one side, or some electoral presentations and a fair for children on the other side. One of the few things I knew about the city before arriving, was that there can be admired an impressive Beatles collection. 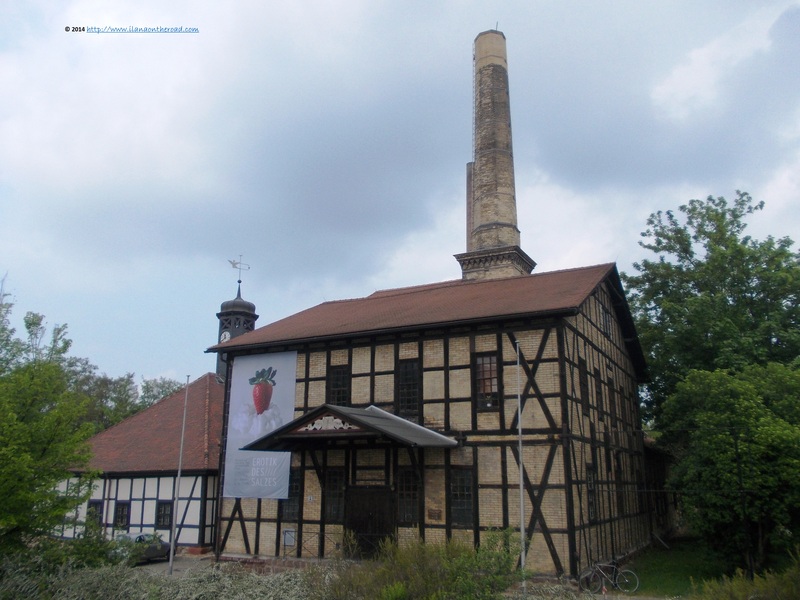 Situated very close from the center, on Alter Markt, the museum is not only the favourite destination of old hippies, but also included in the educational programs of many local schools. 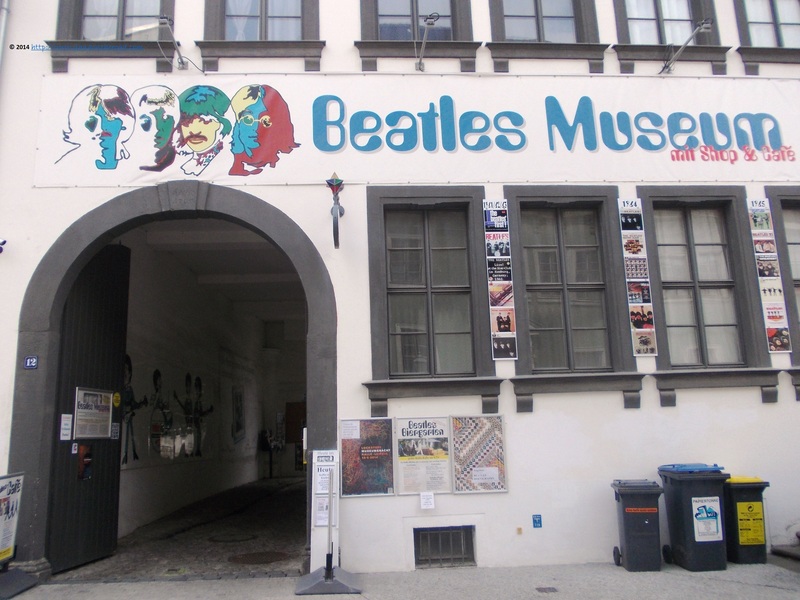 The 17 rooms of the museum - plus a small coffee place and a playground area - has a variety of items associated with the Beatlesmania: CDs, LPs, shirts, fanclub magazines, historical details, billboards, original recordings, books and rarities. It traces the first steps of the Beatles, continuing with their first successes and concerts, personal histories of the members, their later evolutions and the post-Beatles years. The big hits of Beatles are accompanying the visitor during the tour. The exibition was initially an itinerant collection created in 1964 in Cologne, moving in various other German cities. 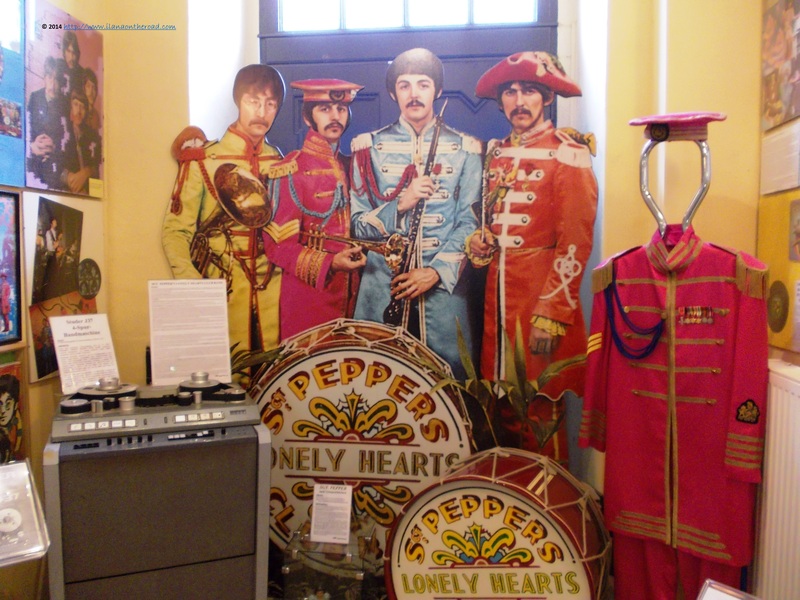 The current museum, offering a lot of insights not only for the Beatles fans, but also for the development of the star system and show business since the 1970s, is hosted in the current location since 2000. 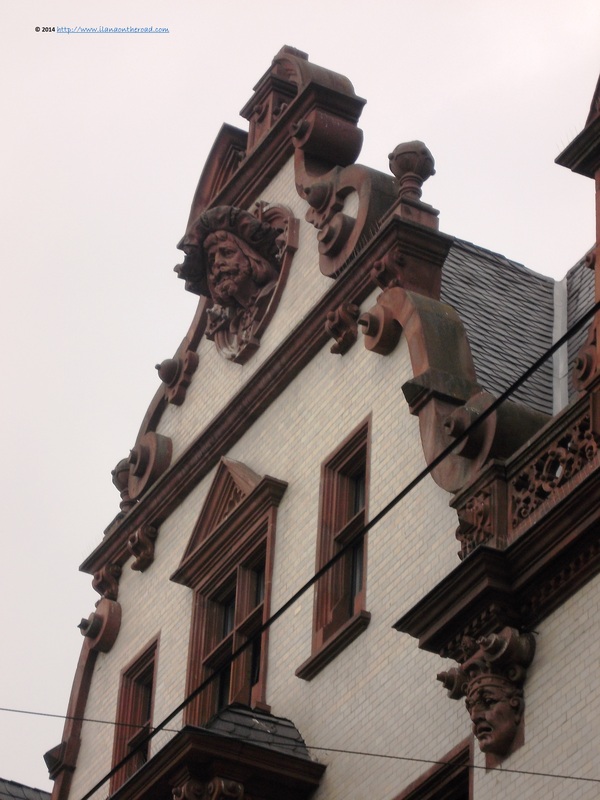 With the Beatles hits still running in my mind, I continued the solitary discovery of the city and its architecture. 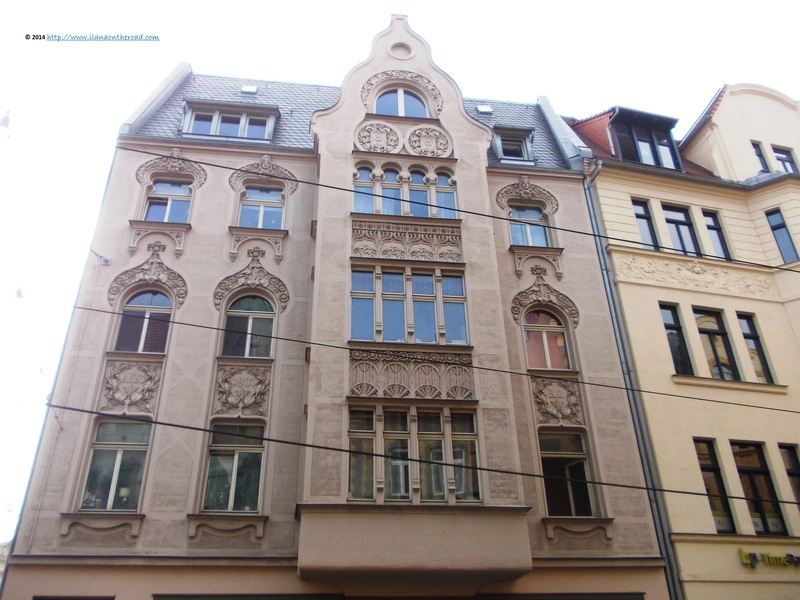 Old Baroque houses are brought back into the modern life, in the middle of homogeneous grey and white simple architecture from the recent decades. Sternstrasse, bordered by Baroque interesting houses is the best place to find a good place for lunch, different styles of cuisine being offered, from Greek to German or Hungarian. 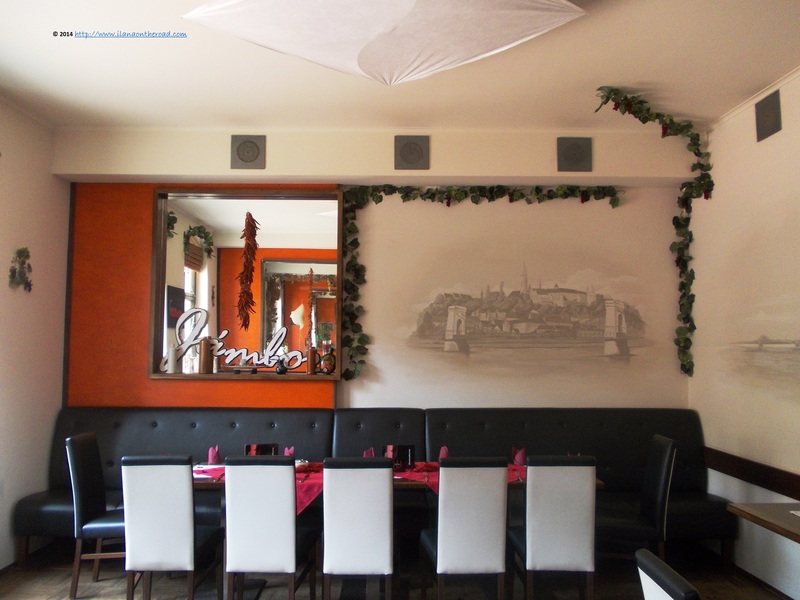 My culinary choice of the day was the Hungarian restaurant Jambor, a family business on the market for five years, whose interior kept a local ambiance not only with decorations and traditional colours, but also with old postcards and maps of Hungary. Even though it started to rain, I rather preferred to stay outside, protected by a huge umbrella. I can hardly remember a good non-meaty Hungarian meal, but I tried my luck. First, with an asparagus soup, that was not too salty and with a strong asparagus taste, but anyway, this veggie is not part of the traditional cuisine. 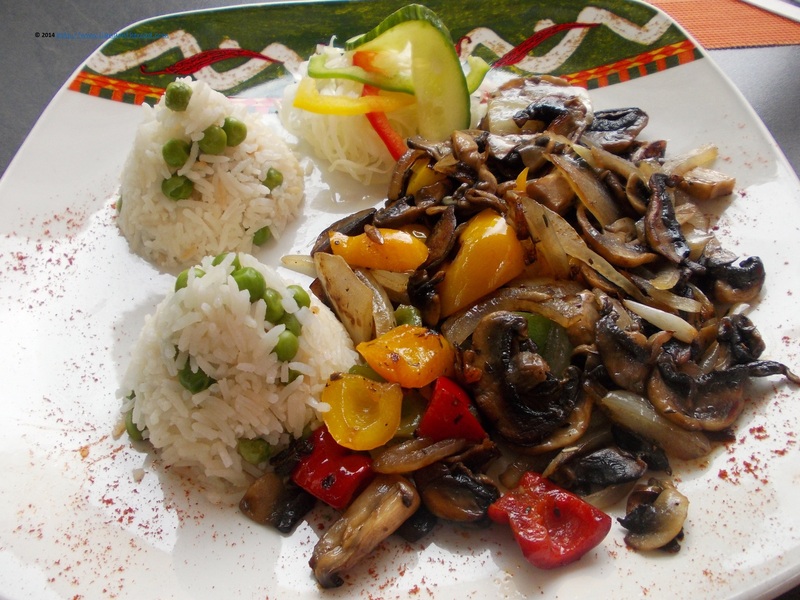 The next choice, Piroshka champignons, mixed veggies, with rice side, and delicate traces of paprika was delicious, although a little bit oily for my puritan taste. The service was very fast and welcoming, fully deserving the price. I am back on the old roads of Halle: kleine Markstrasse, Alte Maerkestrasse, Leipzigerstrasse - apparently the best place for shopping, but everything was closed then. Suddenly, I am near a big colourful building, with coat of arms and baroque endings, added to an older construction. No, there is not a museum of arts or a theatre, but the headquarters of a very sober local institution distributing justice, the Landsgericht. 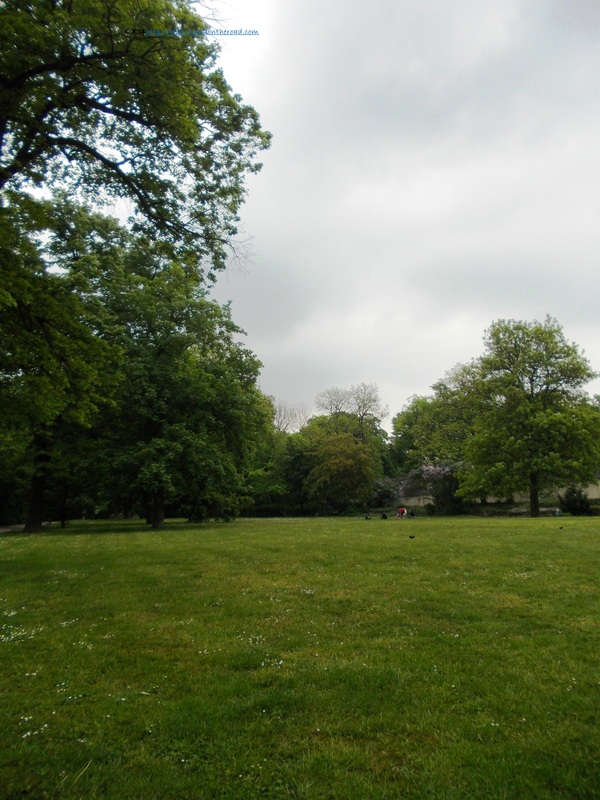 Then I go on the other side of the road enjoying the green and quiet view of the Stadtpark. 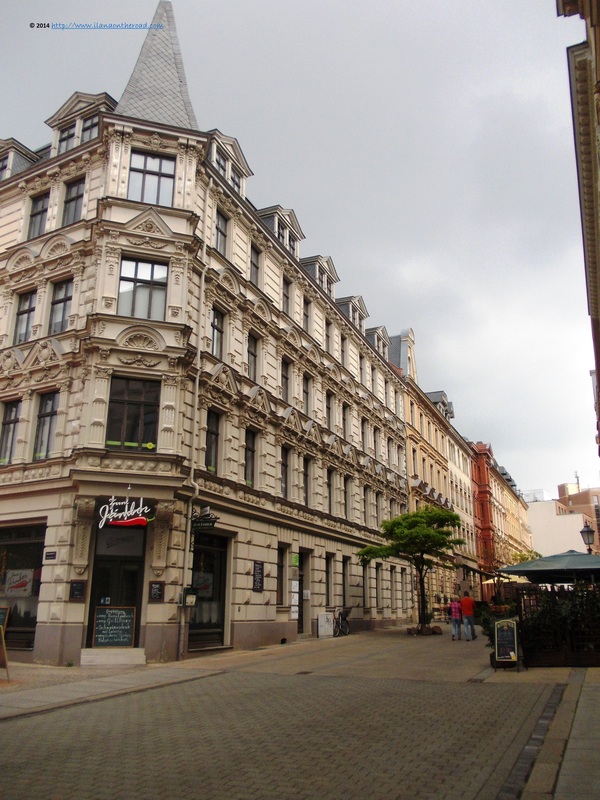 More street walking follows, on Grosse Sternstrasse and Grosse Nikolaistrasse, and other small discoveries around the old historical center. If one's curious enough to have a look up to the sky - maybe only for checking the rain - there can be some surprises looking up from the top of the buildings. 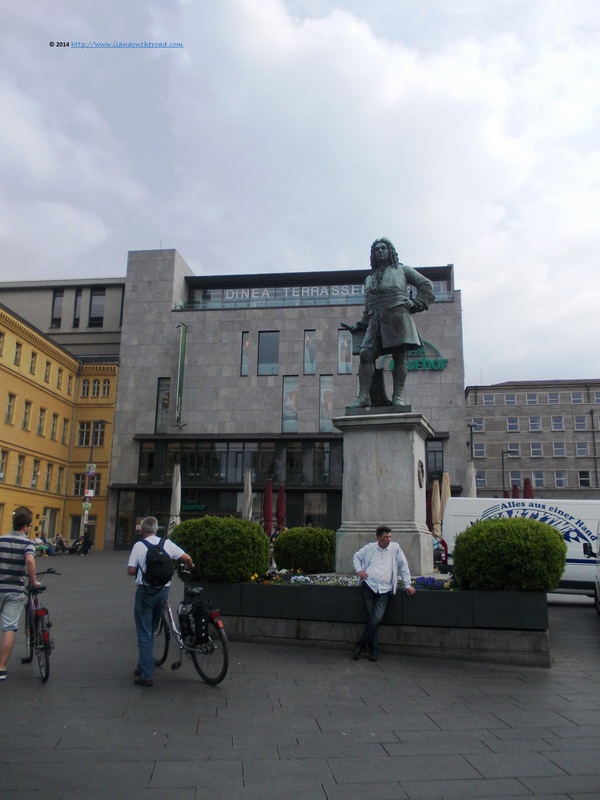 Something that no one told me before heading to Halle was that Haendel, whose music I felt, reflects at a certain level some of the intricacies of the baroque architecture I noticed for hours. 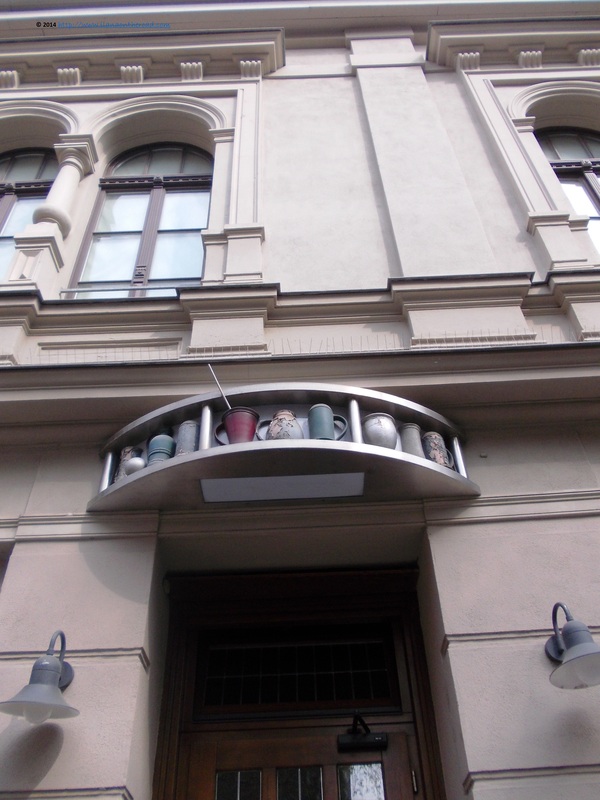 The museum dedicated to him is situated in the house where he was born and lived between 1666 and 1782. The rays of light were suddenly disappearing and after a couple of minutes of heavy rain, I concluded that I better hurry up to the train station for a healthy cup of coffee. 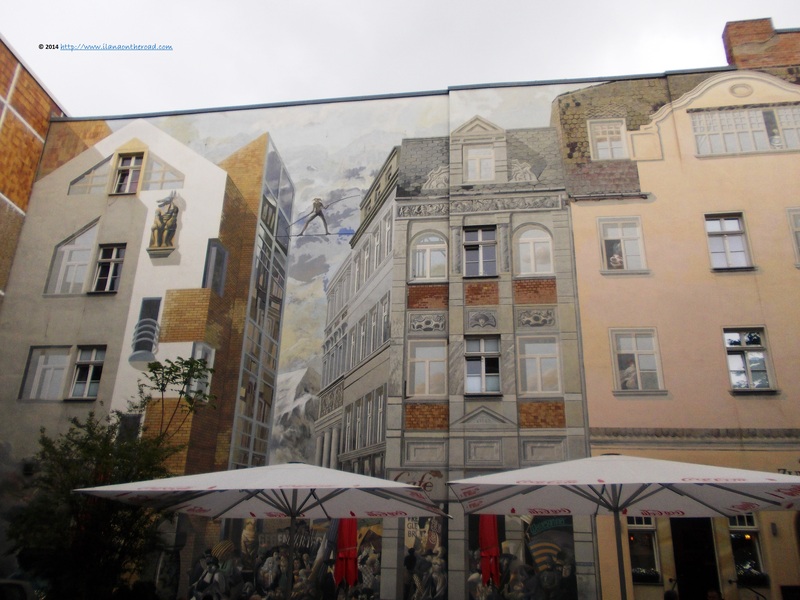 Not before noticing a massive wall painting, describing episodes of local history. The strict plans are not necessarily the inspired company of the curious traveler. On my way back to the train with the tram - the one-day 5 Euro ticket helped me to move between different locations - I spotted some unusually arty colourful graffiti and decorated walls. With less then one hour left in town, I decided to go out of the tram to see with the eyes of my camera what is all about. 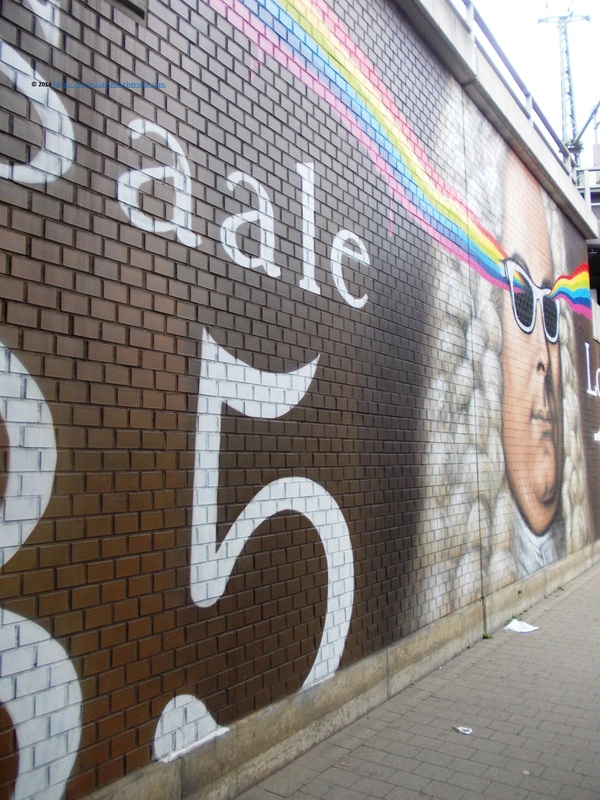 It starts from the underground bridge near the Central Station, with an open area gallery maintained for years by local street artists. A couple of minutes of walking back, I finally enter one of the most interesting graffiti parks I ever seen, displaying the most colourful and creative graffiti gathered at the same place I ever encountered in Germany. 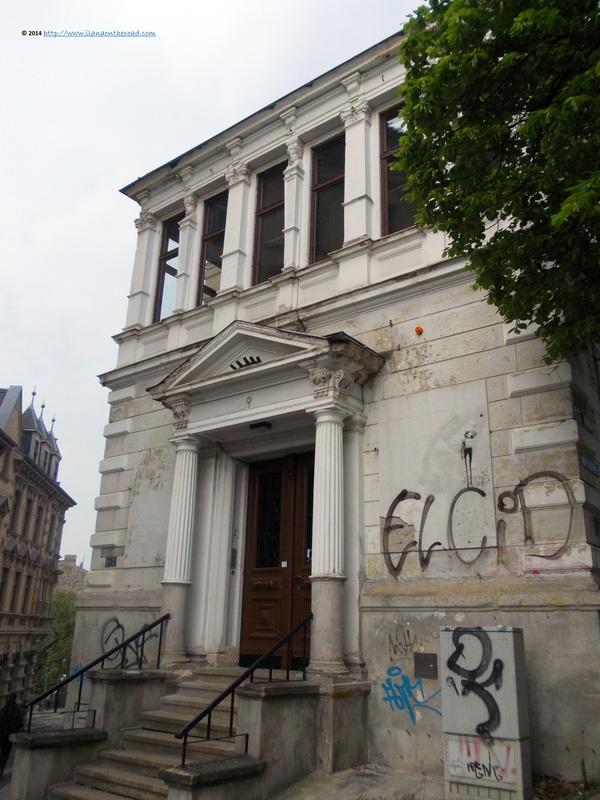 It starts from Landsbergestrasse and continues on the adjacent streets, such as Krondorfer strasse. 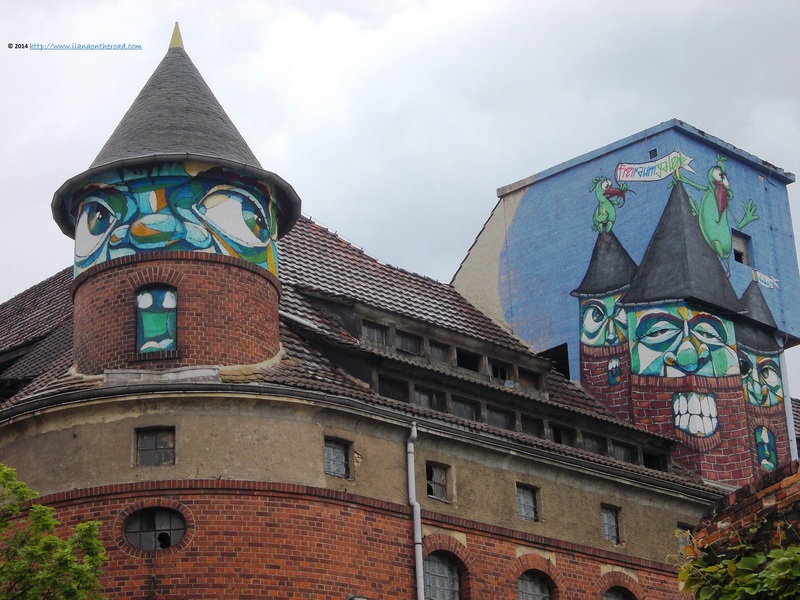 From SF apparitions to delicate pastels and various comics-like graffiti covering more than half of huge buildings, many of them abandoned, I was treated with the best colourful ending of my visit to Halle. Hurrying up back to the train station, I was reviewing shortly all the interesting places I visited here. Now, I have many recommendations for my traveling friends back home.